More than 150 years ago, an order of nuns began to spread the Word of God in Egypt. Now, despite being targeted by the Muslim Brotherhood in 2013, and facing persecution elsewhere, The Franciscan Missionary Sisters of the Immaculate Heart of Mary are continuing their mission. “In this way, the first female Italian Missionary Congregation in Egypt was born. Soon it spread to other countries and continents,” she explained. The order was formally founded in 1868*, when it received the approval of the Holy See. Mother Catherine died 19 years later, in 1887, and was beatified by Saint Pope John Paul II 98 years after her death. While only six sisters left Italy, the order now has approximately 500 nuns worldwide, often surrounded by poverty, persecution and corruption. Despite their focus on helping the poor, the sisters were targeted as part of a string of attacks against Christians by the Muslim Brotherhood in Egypt in 2013. Their school was burned down — this video appears to show that attack — though the sisters survived. Despite the persecution of the sisters and many other Christians, there is also hope — and not just after death. This May 2014 blog post at Copts United reports that the Egyptian military has rebuilt the gutted school. 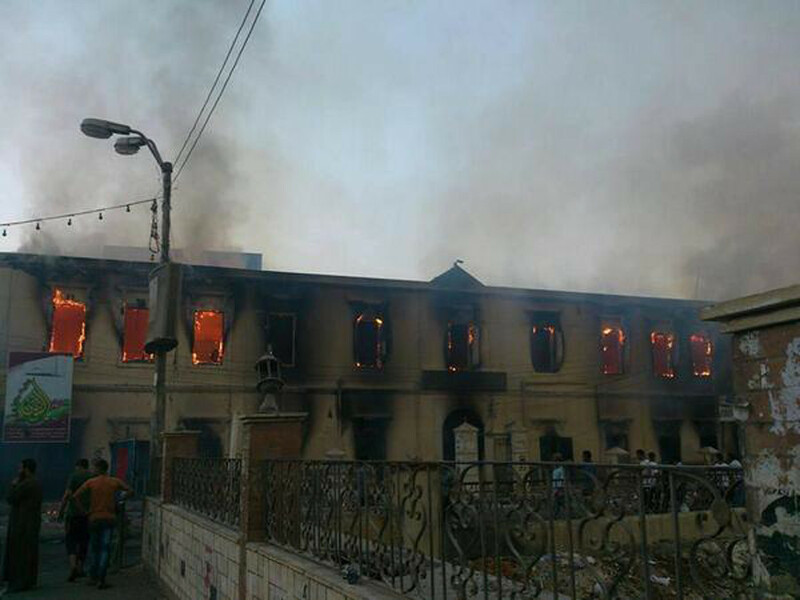 “The process of restoration and rehabilitation of the school is almost done, after It was completely demolished by fire as supporters of the Muslim Brotherhood terrorist group prevented fire trucks from quenching the fire,” says the post, which puts the cost of rebuilding at 16 million Egyptian pounds, or more than two million U.S. dollars.